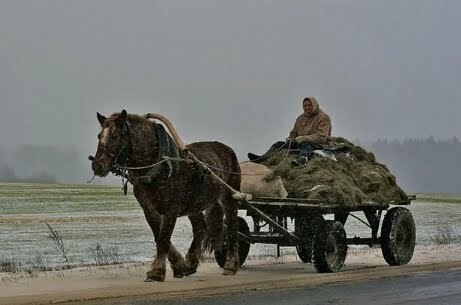 Today I want us to enjoy a beautiful video about village life in Russia. Find 7 minutes to watch the sideshow of old and new pictures about life in the villages all over the Soviet Union. Happy New Year from Russian Video! Let All Your Best Wishes Become True! This entry was posted in Uncategorized on December 31, 2009 by admin. Leonid Stadnik Decided Not To Play The Tallest Man Game Anymore! Today I’ll show you another video of tall man Leonid Stadnik – the tallest man – 2007 (how they call him now). He is very lonely and pretty unhappy. You want to know how he lost his title the world tallest man. He just refused to allow them to measure him, he’ve been there he does not want to participate this game anymore. He just chose not to sell himself. And we understand and respect him for his the choice. The tallest man of the world lives in Ukraine! Leonid Stadnik (The World Tallest Man) – Continue The Story! Leonid Stadnik of Ukraine: World’s Tallest Man! This entry was posted in Uncategorized on September 22, 2009 by admin. From Russia: Kiev, Ukraine Business Trip – We will be back! Svet and I are on our way to Kiev, Ukraine. We will be gone for about a week on a business trip. Thanks to all our viewers and we will be back real soon. This entry was posted in Uncategorized on January 13, 2009 by admin.